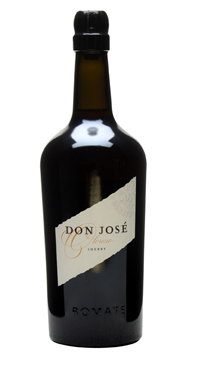 Sherry is an Anglicisation of Jerez, the central town in the south-west corner of Spain. In it’s time it has been invaded by Ottomans, Romans, Huns and the Moors. While these left some splendid architectural traces and pretty ceramic tile work, 400 years or British merchant dominance has celebrated, entrenched and refined the production of the diverse group of lightly fortified wines which today we call “sherry”. Sanchéz Romate was founded in the late 18th century by Juan Sánchez de la Torre, and today is one of the few D.O. Jerez wineries to still be in the hands of local owners. Over time the winery has grown and adapted to modernisation and technology, whilst maintaining their respect for traditional viticulture and Sherry production. A fresh, nutty Oloroso from the impressive Sanchez Romate range. Made from 100% Palomino Fino grapes and then aged for at least 18 years. It has an incredible palate of spice, walnut and coffee beans. We love it!